It wasn’t long ago that you’d need a whole crew of people, some professional know-how, and a lot of expensive bits of metal and screws to get smooth cinematic footage. 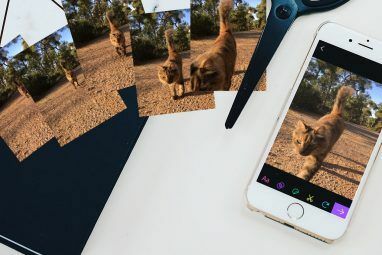 Now you only need a stabilizer of some sort 10+ Gift Ideas for iPhone and iPad Owners 10+ Gift Ideas for iPhone and iPad Owners With so many new Apple gadgets, it can be hard deciding on a suitable gift for the iOS nerds in your life. Read More , like the Zhiyun Crane 2. The Crane 2, like many other three-axis gimbals SwiftCam M3 Review and Giveaway SwiftCam M3 Review and Giveaway The devices in our pockets already shoot in glorious high definition, but what if you could capture perfectly smooth handheld smartphone video too? That's exactly what the SwiftCam M3 is designed to do. Read More , lets you capture smooth footage with any camera that falls under its 3.2KG weight limit. It makes everything you shoot handheld look better, by dampening hand shake and other unintended movements. It’s not perfect, and you’ll need practice to really get the most out of one, but the learning curve is gentle and virtually anyone can reap the rewards. The first thing you’ll need to do is balance your camera, and after about 30 seconds of fiddling, you’ll be ready to shoot. The Crane 2 uses a standard Manfrotto tripod mount with a quick-release, so getting the camera on and off is a breeze. Spring-loaded thumbscrews are a nice touch, making it easy to tighten or loosen the screws even if your camera is in the way. When you turn it on, there are only three modes to worry about: PF (Panning Follow), which follows your horizontal movement while keeping the camera perfectly still; L (Locked), which locks all axes, keeping the camera pointed where you want it; and F (full follow) which tilts and pans the camera based on your movement. You’ve got a joystick which lets you change the tilt and rotation depending on the mode, and a dial for accessing the menu and camera settings if you have a compatible camera (Canon, for now). You’ll also find a follow focus wheel on the handle, which is only working for Canon users for now. Everyone seems to think Zhiyun are working on bringing this feature to other systems, but this will likely take the form of an aftermarket add-on rather than a software update. All you need to do is pick a mode, start recording, and point your camera at something. You’ll get much smoother footage than if you were to shoot purely handheld, and it’ll possibly look even better if you have image stabilization GoPro HERO6 vs. HERO5: Is It Time to Upgrade? GoPro HERO6 vs. HERO5: Is It Time to Upgrade? GoPro released the HERO6 Black only a year after the HERO5 series hit the shelves. The new camera promises the best video quality ever -- but is the GoPro HERO6 worth the hefty price tag? Read More on your lens or camera body (you’ll need to experiment for best results). Everything barring the battery cage and a few dials is solid aluminium, including the miniature tripod What's the Best Phone Tripod? What's the Best Phone Tripod? For most people, smartphone cameras have become good enough to replace proper cameras. From shooting videos to taking that perfect landscape photo, your handset does a terrific job. Read More that Zhiyun threw in that allows you to place the gimbal on a flat surface to balance or get a static shot. It feels like an incredibly sturdy bit of kit, and that’s reflected in the 1.25KG unit weight (around 2.7lb). This probably isn’t too heavy for most people, but your arms will get a workout if you’re using it for an hour or more. As a result of the size and weight, it’s not necessarily the easiest bit of kit to lug around. 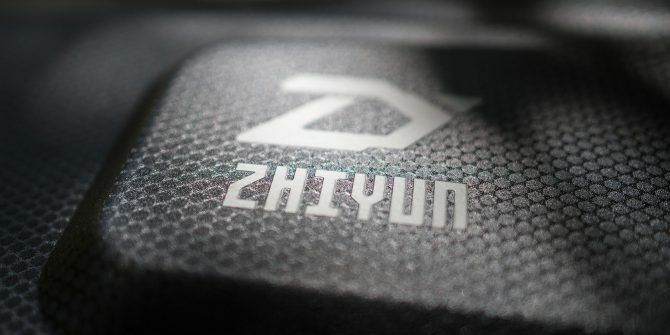 Zhiyun was thoughtful enough to include a soft-yet-sturdy carrying case, which houses the gimbal itself, accessories, batteries, and all included cables. It even has a neck strap to make it easier to carry, but it’s still bulky. I’ve been looking for a “go bag” to cover the gimbal for run-and-gun style shooting, but I’ve not found anything that offers decent protection and fast access. I’m probably going to have to make my own bag, and this is something worth keeping in mind depending on your style of shooting. Despite its weight and size, the Crane 2 is significantly more compact than DJI’s Ronin M, and instead competes more closely with the just-announced-at-CES Ronin S. Compared with a glidecam and other pro-level stabilizers, the Crane 2 is a cakewalk to learn, hold, and use. If you’re really put off by the weight, and don’t need to hold a 3.2KG payload, or are travelling light, then you might be better off with a lighter bit of kit like the Crane 1 v2 or Moza Air instead. Zhiyun doesn’t include a dual-handle grip for the Crane 2, but they do make one you can buy. There’s also a Wi-Fi remote, monitor clamp, and shoulder mount, among other optional extras. You could also buy a fourth axis of stabilization by opting for a spring-loaded dual-handle grip. But there is plenty included with the Crane 2, starting with possibly the world’s best mini tripod. It screws into the bottom and functions both as a stand, and as an extended grip for getting even smoother footage. I’ve even used it to suspend the Crane 2 in inverted mode, as a makeshift handle. Well done Zhiyun. There’s also a box of cables included for Canon, Sony, Panasonic, and Nikon cameras. By connecting your camera to the Crane 2 you can control certain functions, including focus control for Canon cameras. Canon users can also control virtually every camera parameter on the fly, while other systems (like Sony) can start and stop recording this way too. You can also charge your camera using the Crane’s own power supply, which is a nice touch if you don’t need the Crane’s heroic battery life (or you have a Sony camera, since many Sony cameras have terrible battery life Mirrorless to Impress: Sony A6300 16-50mm Kit Review Mirrorless to Impress: Sony A6300 16-50mm Kit Review Following on from the massively popular A6000, comes the A6300, a small interchangeable mirrorless camera with an APS-C sensor, 4K video capabilities, and more features than most enthusiasts will ever need. Read More ). I charged the Crane 2 once in my entire first month of using it, and I used it virtually every day in some capacity. Zhiyun rates the gimbal for 18 hours of battery life from its three 18650 Lithium-ion batteries, and they’re not exaggerating. I have a relatively light Sony a6500 in a light cage with a 24mm prime Zoom Lenses vs. Prime Lenses: What's the Difference? Zoom Lenses vs. Prime Lenses: What's the Difference? After graduating from a kit lens, you’ll need to decide between a prime lens and a zoom lens. But what exactly is the difference? Which one is better for you? Read More — the heavier your rig, the less battery life you’ll get. Zhiyun also included a charger with two USB inputs, which allows you to plug it into two separate power sources to double the charging speed. Being able to rely on the Crane having charge whenever you turn it on is a huge convenience, especially since you need to unscrew the handle in order to get to the batteries. This plentiful supply of power also makes the crane a viable source of power for your camera, and it’s nice knowing that you only need to connect the relevant USB cable in order to charge your camera. If you really want to take advantage of this feature, a second set of the 18650 batteries would be a good investment (and likely cheaper than first party camera batteries). You might also be disappointed by others. 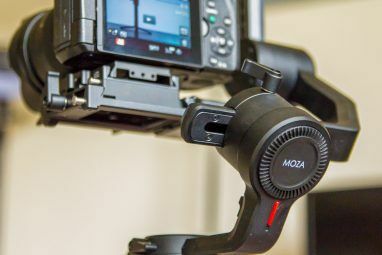 This is one of the smoothest gimbals on the market, and possibly the smoothest example of its kind without jumping to four or five axes of stabilization. Three-axis gimbals are still subject to the laws of physics though, which means you’re going to have to do some of the work yourself if you want that cinematic look. You can’t just pick up the gimbal and expect everything to look great. The more you can dampen your own movement, the better. The smoother your movements, the better. The faster the framerate you use, the more you can do with your footage to make it look better in post. Your choice of lens will also make a huge difference. To emphasize movement, an ultra-wide lens is recommended. Anything lower than a full-frame equivalent of 24mm looks great, while longer focal lengths tend to de-emphasize movement. Of course, an orbiting shot of a subject shot far away with an 85mm portrait lens can also look great — practice makes perfect! Experimentation is key, particularly using the gimbal in different modes, with and without the joystick, or in “bottom up” inverted mode, which is where some of your more creative shots will come from. 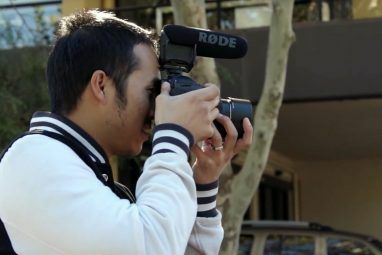 Just don’t expect this $750 bit of kit to instantly turn you into a filmmaker. Gimbals offer the everyman a chance at capturing footage that previously required a team of people. You can get professional-looking results for the price of a good lens, and you can have lots of fun doing so. Whether you need a gimbal like the Crane 2 is something you’ll have to decide for yourself. I bought the Crane 2 for work and play, since I wanted more movement in my review footage without the shaky-cam look. I’ve also been enamoured with the idea of creating my own short films and learning more about filmmaking on my own time. It’s also worth noting that the gimbal is an incredibly fun device to use. If you’re a keen hobbyist, vlogger, photographer looking to shoot video 5 Reasons to Consider a Mirrorless Camera Over a Digital SLR 5 Reasons to Consider a Mirrorless Camera Over a Digital SLR Are mirrorless cameras better than DSLRs? Has improved tech made them more viable for enthusiasts and professionals? We take a detailed look to find out. Read More , or you’re involved in a project that would benefit from professional-looking footage, consider a gimbal. That doesn’t mean the Crane 2 is the only choice out there though. The Crane 2 is currently the best bang for your buck if you want a strong and powerful stabilizer that can hold some of the heaviest cameras out there including the Canon 1DX mk ii and some RED cinema cameras. The Crane 2 gives you options in terms of payload — you can use heavy rigs, add microphones or monitors, or full-frame fast glass. Not everyone needs that potential though. The Crane 1 v2 and recently announced Crane Plus are cheaper, with lower payloads, and the same Zhiyun magic that powers the Crane 2. The Moza AirCross and Feiyu A2000 are two other great lightweight stabilizers from emerging brands. You won’t find a more capable one-handed gimbal on the market, but it’s a heavy beast. Explore more about: DSLR, Filmmaking, Record Video. I have the Crane V2 (not the same thing, the Crane V2 is for smaller cameras, like the Sony A6000/6300/6500) and have been impressed with the footage. Yes, you do need to smooth your walk as much as possible - Brandon Li on YouTube does a great job explaining how he goes about shooting with this device - but the difference is totally night and day. It even smoothed out video I shot of our drive home (I was the passenger, of course) significantly. I so wish this had been around years ago: I tried those C-arm things and stabilising software: all very ordinary results. This works an absolute treat! Looks dope comes very handy as well for a person who has minimal gear this crane could work just fine. Wow smoothest gimbal on the market I'd like to try it out before recommending it :) Thanks for the info by the way. What does 'limit of 10 reached' means?